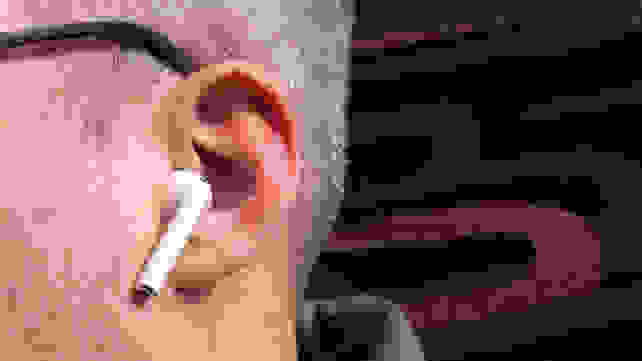 For months leading up to the release of AirPods, I balked at Apple's proposed wireless headphones: "Apple's regular, wired EarPods are so terrible," I'd say. "Apple should've used this opportunity to design something better. 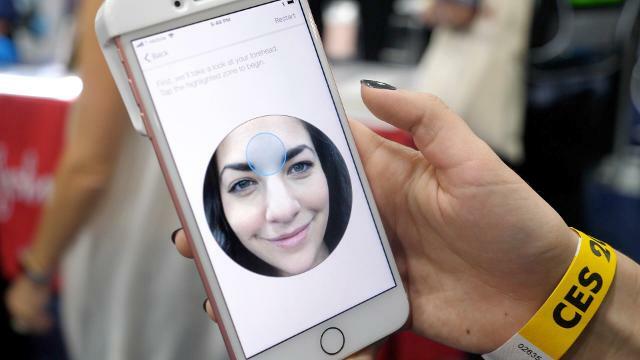 These things look goofy as hell and cost way too much for what they offer." Basically, whenever AirPods came up in our editorial office, I was Captain Naysayer. And here's the kicker: My criticisms weren't entirely off-base. AirPods fit in your ears about as poorly as Apple's iconic wired earbuds, and their white paint job is anything but subtle. Like most of the worthwhile true wireless earbuds I've tested, the price of a pair of AirPods ain't exactly cheap, either, and they come saddled with some of the same connectivity problems, too. Yet somehow, here I am, using my AirPods as I write this and loving every second of it. How did I get here? Who even am I? No-nonsense hardware & software makes for a seamless pairing experience. I've used countless wireless headphones in my day, and looking back on it, the word that first comes to mind is "finicky." Pairing a pair of wireless headphones feels like flipping a coin: it either works or it doesn't, and that decision is up to the random nature of the universe. But AirPods are a different story: I put them in my ears and they instantly turn on and connect to my iPhone. That's it. I don't have to fumble with my Bluetooth settings or re-pair them—they just do what they're supposed to do, and when I'm done using them I plop them back into their charging case and go about my day. The charging case is magnetized, so the AirPods slot back in with a satisfying click. The speed with which they pair with an iPhone is a result of Apple's spectacular hardware and software harmonization. The company's much-ballyhooed W1 chip, which smoothes out the wrinkles of the Bluetooth experience when used in conjunction with an iPhone. In essence, we're talking about top-of-the-line hardware developed exclusively to work alongside Apple's already-fluid software. AirPods are a soothing balm, come to alleviate the burns I've received from wireless 'buds of days past. My takeaway? AirPods are a soothing balm, come to alleviate the burns I've received from wireless 'buds of days past. It's worth noting, however, that although some wireless headphones power-down if you stop using them for a while, AirPods remain on and connected to your device until they're put back in their case. It's probably best to get in the habit of storing them in their case, but it's a little inconvenient that the only way to turn them off is to stow them away. AirPods sound good. Like, suspiciously good. No, AirPods aren't going to blow the minds of audiophiles, but speaking personally, they really don't have to—all I'm looking for is a pair of earbuds that combine decent, well-balanced sound with the magic of true wireless technology. I just want to feel like the music reaching my ears is of respectable quality—while still getting to enjoy the futuristic tech I imagined when I was a kid. And on that front, AirPods deliver. They almost sound suspiciously good, and I think it's because my brain was expecting the same awful, tinny sound it got used to hearing after several disappointing years of using the wired Apple earbuds (whose look and feel the AirPods replicate). AirPods produce a soundstage best described as being somewhere between "pretty damn good" and "surprisingly great." Given the type of technology tucked into their tiny transceivers, AirPods produce a soundstage best described as being somewhere between "pretty damn good" and "surprisingly great," especially if you go into the experience expecting the quality of sound you usually get from the wired earbuds included with every iPhone. Compared to those, ahem, primitive headphones, AirPods sound bigger, more expansive, and feature a bassy kick. It's more than enough to satisfy my needs. I'm not looking for perfect audio—I just want to jam some 'buds into my ears as I'm running out the door and then forget about my worries and my strife. All right, so what's the issue? So why do I hate that I love AirPods? Because they get so close to reaching their full potential, only to suffer the same issues I had come to expect from them in the first place. I don't like how I feel in AirPods. Their white, glossy paint job combined with their unusual shape makes me feel like I've chosen to make a statement about something. I'm not sure if that statement is "I love Apple products" or, "I love weird, gaudy-looking headphones," but whatever the case, I don't think you can wear AirPods without projecting an air of decisiveness. Unfortunately, AirPods are just as ill-fitting as Apple's regular, wired earbuds. In other words, with Apple's wired earbuds, it might've been the case that you decided to use them out of convenience. With AirPods, you've decided to plunk down over $150 to wear something that says, "I've invested a lot of money in the Apple lifestyle." And that lifestyle happens to include looking a tad bit ridiculous when you've got these 'buds sticking out of your ears. You might be thinking, "But Michael, can't you say the same about any pair of headphones, or any product for that matter?" Sure, I suppose you can, and admittedly, my hang-ups about what I think my headphones say about me isn't anyone else's problem. But ideally, I want my big, once-in-a-paycheck purchases to represent the best choice I could make given how much I'm willing to spend, and I'm still not sure AirPods fit that bill. AirPods suffer from the same clumsy fitting problems their wired predecessors do. It's not just a matter of how they look, either—AirPods suffer from the same clumsy fitting problems their wired predecessors do. Their shape and their slippery finish just sort of float in your ears, waiting to fall out at the slightest head turn. Choosing AirPods is choosing a life spent constantly readjusting them throughout the day. This lack of a seal also means that AirPods don't isolate very well at all. They sound great, but listening to a podcast on a loud train usually leads to replaying portions of it twice so I can actually make out what people are saying. We recently completed a roundup of the best true wireless earbuds you can buy right now, which gave me an opportunity to try a slew of AirPod competitors. By contrast, the Jabra Elite 65t—our runner-up—create a tight seal in my ears and fit like a dream. They also offer volume control on the 'buds themselves—something AirPods sorely lack. The only way to shut the AirPods down is to put them back in their case, so you'd better get used to stowing them away when they're not in use. Oh, and did I mention that AirPods seem to be sensitive to their surroundings? Yeah—it's real weird. They'll often suffer from spotty, glitchy playback, but this only seems to happen when I'm walking outdoors with my iPhone in my pocket. Those are the two common factors: It happens when I'm outside and they're connected to a device in my pocket. The poor connectivity issues don't happen when I'm inside my house or office, and it doesn't happen when I'm outside and the phone is out of my pocket. Bluetooth interruptions happen when I'm outside and they're connected to a device in my pocket. In fact, if you Google this problem, you'll find that there's a crazy-high number of people reporting the exact same thing: It always happens to them when their iPhone is in their pocket and they're outside. It's not specific to relatively old iPhones, either—even iPhone 7 and iPhone 8 users report this problem. To be fair, this doesn't seem to be the case for everyone, but it's a very real problem for me. AirPods are frustrating because they absolutely nail the experience 70-80% of the time. Comparatively, the Jabra Elites sound better, look better, and feel better in my ears, but every other time I go to use them, I'm forced to pull up my iPhone's settings menu, remove them from my list of preferred devices, and re-pair them. It's absolutely maddening compared to the silky-smooth experience of pairing AirPods. At around $160 at the time of publishing, Apple AirPods aren't exactly affordable. As much as it pains me to say this given their price, you should probably look into a pair of AirPods—but only if you're an iPhone owner. If your primary device is an Android, you won't experience the level of polish that makes AirPods such a tantalizing proposal in the first place. 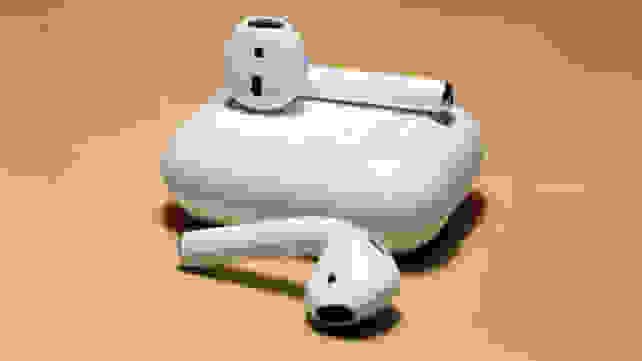 I really wanted to hate these things, but the truth is, if you have an iPhone, AirPods come closer to perfection than any other pair of true wireless earbuds I've tried, to date. You should probably look into a pair of AirPods—but only if you're an iPhone owner. Yes, I hate the way they look. I hate the way they fit and I hate the way their signal cuts in and out when I'm out and about with my phone in my pocket. But I'm willing to trade all of that for how seamlessly they pair and how good they sound. If you can overlook the connectivity problems, using AirPods feels like stumbling into the Bluetooth experience you always thought was possible. 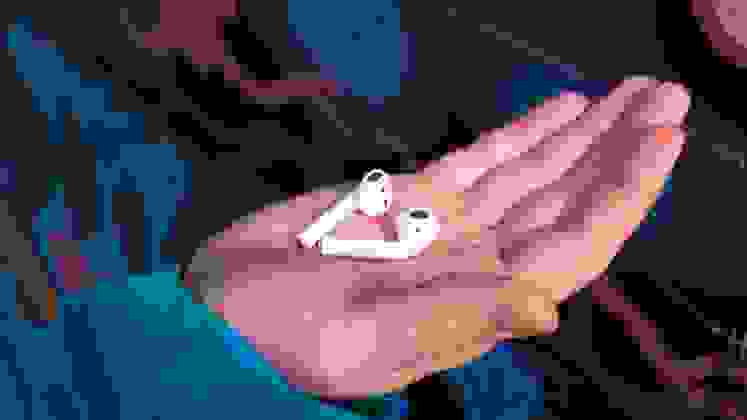 For what it's worth, a follow-up to AirPods—lets call them "AirPods 2"—is almost certainly in the works for sometime this year, and they might look better, sound better, and offer a more stable Bluetooth connection. Alternatively, the second generation of AirPods could end up being a slightly tweaked version of these ones—it's hard to say! If AirPods 2 do come to fruition, you'll likely see this version of them get a substantial mark-down, which could be a decent incentive to hold off on dropping $160 on them right now. A follow-up to AirPods is almost certainly in the works for sometime this year. Phew. OK, I'm glad I got all of this off my chest. What can I say? I was careless. I knew what I was getting myself into when I first opened these AirPods, and yet, I still couldn't help but fall in love with them—warts and all. I don't know how Apple keeps doing this to me.